Regulation of Dietary Supplements is organized by Western Schools and will be held from May 08, 2017 - May 08, 2020. Description: Pharmacists who are knowledgeable about the regulation of dietary supplements are better equipped to assist patients in their use of these products. Dietary supplements are regulated as a category of food under the DSHEA legislation and manufacturers are responsible for product quality and appropriate labeling and advertising of their products. Manufacturers may make three types of claims on their product labels: health claims, nutrient content claims, and structure-function claims. The FDA does not review or approve products before marketing; instead, an action is taken against manufacturers that market unsafe, contaminated, or adulterated products. Healthcare providers can assist patients in the safe use of dietary supplements by recommending products only from manufacturers that have a strong reputation for ethical practice or by looking for a certification mark from one of the independent testing programs before recommending a product. Course Objectives: • Discuss the history of regulation of dietary supplements. • Summarize the elements of the Dietary Supplement Health and Education Act. • Examine the issues related to dietary supplement product quality. • Identify programs that assure dietary supplement quality and safety. Additional details will be posted as soon as they are available. Wi Can on Demand Webinar - Sexually Transmitted Infection in Children - Is It Abuse? Wi Can on Demand Webinar - Sexually Transmitted Infection in Children - Is It Abuse? is organized by Medical College of Wisconsin (MCW) and will be held from May 17, 2019 - May 17, 2020. Credits: • 1.00 AMA PRA Category 1 Credit(s)™ • 1.00 Hours of Participation Target Audience: • Pediatricians • Emergency Medicine Providers • Family Medicine Providers • Physician Assistants • Advanced Practice Nurses • Allied Health Care Professionals • Social Workers • Law Enforcement Professionals • Attorneys Description: The WI CAN Educational Series consists of statewide, web-based lectures and case-based discussions on various topics related to child maltreatment delivered and led by subject matter experts. The target audience consists of physicians, advanced practice providers, nurses, other allied health professionals, law enforcement officials, social workers and attorneys. The goal of the educational series is to improve the recognition of child maltreatment and management of cases when child maltreatment is a concern. Objectives: • Improve detection of child maltreatment • Understand the health care provider’s role in reporting and evaluating children suspected of being maltreated • Appropriately consider other conditions that could be mistaken for child maltreatment • Create a plan about how to access child maltreatment medical expertise Additional details will be posted as soon as they are available. 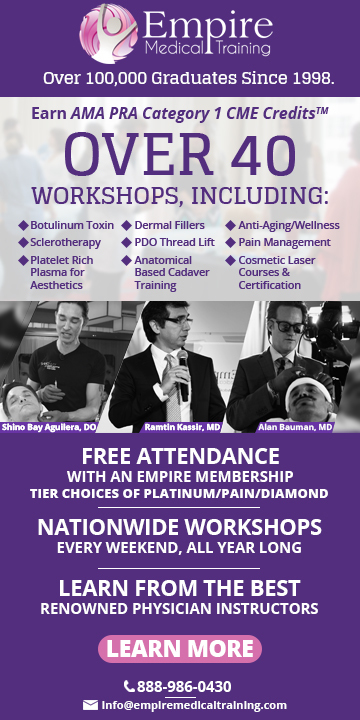 The 2019-2020 LSU Orofacial Pain Continuum: Five Sessions at LSU School of Dentistry is organized by LSU Health New Orleans Continuing Dental Education and will be held from May 31, 2019 - Feb 15, 2020. The target audience for this medical event is Dentists. 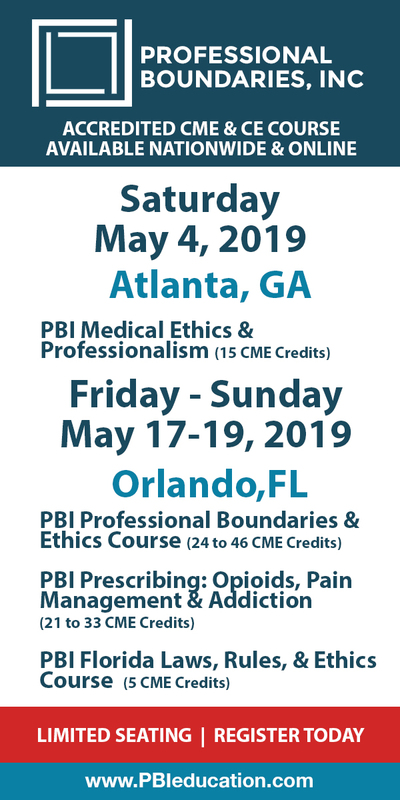 This CME Conference has been approved for a maximum of 74 hours of clinical CDE credits. Conference objectives are: • Head, Neck, and Airway Anatomy • TMD Diagnosis and Imaging • Psychological Considerations in TMD Management • Sleep Medicine & Dental Sleep Practice • Headaches Attributed to TMD • Orofacial Pain Risk Management & Reimbursement A Comprehensive 5-Session, CE Program that can be Completed in Less than a Year:- Session 1: May 31-June 1, 2019 (Friday-Saturday) Clinical Application of Head, Neck, and Airway Anatomy with Dissection Session 2: August 2-4, 2019 (Friday, Saturday, and a half-day on Sunday) Temporomandibular Disorders (TMD): An Evidence-Based Approach to Diagnosis and Management Session 3: October 4-5, 2019 (Friday-Saturday) Dentistry's Role in the Diagnosis & Management of Sleep Disorders Session 4: December 6-7, 2019 (Friday-Saturday) The Many Faces of Orofacial Pain: Beyond TMD Session 5: February 14-15, 2020 (Friday-Saturday) Patient Case Presentations & Review: An Interactive & Participatory Session Additional details will be posted as soon as they are available. 2019 Psychopharmacology Pearls is organized by College of Psychiatric and Neurologic Pharmacists (CPNP) and will be held from Nov 07, 2019 - May 07, 2020. Target Audience: This self-study activity serves as an educational tool for pharmacists seeking Board Certified Psychiatric Pharmacist (BCPP) Recertification credit and other pharmacists and health care providers seeking advanced education in patient and disease state management in the field of psychiatric pharmacy. Description: This recertification product consists of four clinical review articles focused on single disorders, or on one or more distinct aspects of a single psychiatric, neurologic, or substance use disorder. Authored by leading experts in the field and hosted in CPNP’s peer-reviewed journal, The Mental Health Clinician (MHC), these case-based articles will be fully referenced and offer therapeutic advice based on both evidence and longstanding clinical experience. Pearls articles focus on aspects of disease states and their pharmacotherapy that require synthesis of solutions to problems or development of practices that require judgement(s) founded on evidence, but modified or tempered by extensive clinical experience and practicalities of “real world” necessities. The articles are intended to allow you to gain greater insights into the strategies of clinical decision-making used by expert clinicians. Topics include PTSD guidelines, opioid use disorder and pregnancy, clozapine augmentation, and multiple sclerosis. Psychopharmacology Pearls is an application-based continuing pharmacy education (CPE) activity that releases on November 7, 2019. An application-based CPE activity requires that participants apply the information learned. The examination for this product often features case studies requiring that the participant apply the principles learned through the readings. Psychopharmacology Pearls includes: Course Objectives: To satisfactorily complete the Psychopharmacology Pearls and receive 5 hours of BCPP Recertification and ACPE credit, candidates must meet the following requirements: • Abide by a confidentiality and honesty statement requiring individual completion of the recertification education. • Complete an online assessment by the deadline of May 7, 2020. • Meet the minimum passing score to be determined by a panel of experts within four (4) weeks following the exam deadline. • Partial credit is not available for individual topics within the learning activity; it is either all 5 hours of credit or none. • You will proceed through the following steps to satisfactorily complete this course: • Complete the pre-test before starting the activity. (login first) • Review the full content of the activity and reflect upon its teachings. • Complete the post-test at the end of the activity no later than the closing activity date. (login first) • Complete the evaluation at the end of the activity. (login first) • Wait for the official review of exam questions within 4 weeks following the closing date. • Receive a passing grade (as determined by a panel of experts within 4 weeks following the closing date). • Provide the necessary details in your profile to ensure correct reporting by CPNP to CPE Monitor. Dialectical Behavior Therapy Intensive Training is organized by Behavioral Tech (BTECH) and will be held from Aug 19, 2019 - Jan 10, 2020 at New York City, New York, United States of America. Description: The Dialectical Behavior Therapy Intensive Training is a ten-day course designed for those who have begun learning DBT methods from self-guided study of the treatment manuals and introductory workshops. This training is intended for teams that are invested in learning DBT to a high standard in order to better implement the treatment in their settings. As DBT is a treatment that requires an ongoing consultation team, the Intensive Training is designed for treatment teams, not individual practitioners intending to practice alone. A DBT team (minimum of 3*, maximum of 8) is a group of mental health professionals who meets at least weekly to assist each other in applying DBT in their practice setting. With the intent to provide the highest quality training experience, it is our goal to have a maximum of eight teams for each Dialectical Behavior Therapy Intensive Training™. Teams should discuss and clarify their level of commitment prior to completing their application as course enrollment is limited, and there is a competitive demand for Intensive Training. Training is conducted in two five-day sessions of instruction divided by six to nine months of home study. In Part 1, lectures, videotapes, and small group exercises are used to teach DBT theory and strategies in-depth. Between the first and second sessions, participants consolidate and apply what they have learned with the help of practice assignments. Between sessions, teams design and begin to implement their own DBT programs or to integrate DBT into an ongoing treatment setting. In Part 2, each team presents their work and receives expert consultation on specific cases and on their program, including protocols for specific treatment problems and adaptations of DBT. The DBT Intensive Training involves rigorous preparation, training, and homework. Part 1 and Part 2 are both five full days of training. The course is designed to model basic elements of the treatment in an experiential way and to foster team development. Just as DBT requires clients to make a full commitment to treatment and to attend all sessions, DBT training requires Intensive participants to attend the entire training, do their best to learn the material, and participate in a willing, committed manner. Training Objectives Part 1: • Participate in a DBT Consultation Team. • Demonstrate Consultation Team strategies used in DBT. • List the modes, the functions, and the typical treatment agreements made in DBT. • Implement the structure, goals, and stages of DBT. • Teach the four DBT® skills modules (Core Mindfulness, Interpersonal Effectiveness, Emotion Regulation, and Distress Tolerance). • Explain the diagnosis of Biosocial Model of Borderline Personality Disorder (BPD) and other severe disorders in all required treatment contexts. • Create DBT treatment plans for clients using targeting procedures. • Explain the dialectical nature of DBT. • Demonstrate how dialectics are used in DBT. • Conduct Cue Exposure and Response Prevention. • List the steps in Problem-Solving. • Conduct complete Behavioral Chain Analyses and solution analyses. • Implement the Cognitive-Behavioral strategies in DBT. • Identify the levels of validation and the contexts in which they apply. • Demonstrate the use of validation to balance the change strategies in treatment. • Demonstrate the different communication strategies of DBT. • Implement the DBT case management strategies. • Implement telephone coaching and other generalization strategies of DBT. • Apply suicide crisis protocols of DBT. • Discuss the DBT research for different populations. Part 2: • Demonstrate comprehension of important concepts in DBT. • Demonstrate the ability to apply important concepts in DBT. • Demonstrate the ability to appropriately apply DBT strategies in my own cases and appropriately evaluate the use of DBT strategies in others’ cases. • Demonstrate use of DBT commitment strategies. • Identify in-session dysfunctional behaviors and use DBT strategies to treat them. • Use DBT strategies to better manage skills training problems. • Identify team problems and use DBT strategies to resolve them. • Design DBT service programs, appropriately implementing and modifying DBT protocols for my particular setting and patient population. • Formulate plans to evaluate my program/services. • Discuss the take-home exam assigned in Part 1 and consequently better understand important concepts in DBT. • Discuss homework assignments involving the application of the treatment and consequently better understand how to apply the treatment. • Understand and apply the treatment after my team’s program presentation. • Use techniques for strengthening and using the DBT consultation team. • Practice the techniques of DBT by role-playing, as coached by the instructors and be better able to describe and apply treatment strategies. • Teach mindfulness skills, interpersonal skills, and emotion regulation skills as detailed in the DBT skills training manual. • View and discuss videotaped segments of DBT as modeled by expert therapists and be better able to describe and apply treatment strategies. • Understand and apply the treatment after my team’s case presentation. RCPsych Leadership & Management Fellow Scheme 2019/20 is organized by Royal College of Psychiatrists (RCPSYCH) and will be held from Sep 09, 2019 - Jun 08, 2020 at Royal College Of Psychiatrists, London, England, United Kingdom. Scheme Outline: The Leadership and Management Fellow Scheme will support the formation of a national network of emerging medical leaders and combines a bespoke, high impact leadership development training programme with an apprenticeship model. Fellows proactively engage in local leadership projects and are mentored by senior medical leaders within their organizations. Occurring in-programme and utilizing special interest time over a 12 month period, the scheme is inclusive and open to all higher specialty trainees in any psychiatric sub-specialty. Fellows will be better equipped to lead their teams and better prepared and encouraged to pursue more advanced leadership roles in the future. Programme: Day 1: 9 September 2019 The Evolving Leader Day 2: 10 September 2019 Leading Teams Day 3: 2 December 2019 Leadership Projects Day 4: 10 February 2020 Systemic Leadership (1) Day 5: 11 February 2020 Systemic Leadership (2) Day 6: 27 April 2020 Group Supervision Day 7: 8 June 2020 Celebrating Success and Looking Forward. Key features: • Designed specifically for psychiatrists • Expert and inspirational speakers from a diversity of backgrounds • Experiential workshops to raise self-awareness • Content shaped by Fellows reflecting your unique needs • Dedicated support to help you rethink and refocus your evolution as a leader • Develop a personalised portfolio of learning resources • An ideal platform for future leadership roles Additional details will be posted as soon as they are available. Theory to Practice Case Series is organized by College of Psychiatric and Neurologic Pharmacists (CPNP) and will be held from Sep 26, 2019 - Mar 26, 2020. This Course has been approved for a maximum of 5.0 ACPE Contact Hours Target Audience: This self-study activity serves as an educational tool for pharmacists seeking Board Certified Psychiatric Pharmacist (BCPP) Recertification credit and other pharmacists and health care providers seeking advanced education in patient and disease state management in the field of psychiatric pharmacy. Description: Releasing September 26, 2019, this application-based BCPP Recertification product provides the opportunity to study a complex psychiatric case comorbid with a medical diagnosis and associated complex medication regimen. The 2019 case is focused on treatment resistant depression and pregnancy with participants following one patient through several encounters over a period of time. The activity design allows for the opportunity to apply evidence-based pharmacological and/or nonpharmacological treatment strategies and monitoring recommendations specific to patient needs and their pertinent medical, psychosocial, family, cultural and socioeconomic issues. Instructional webinars and a comprehensive, referenced key extends the value of the activity long after completion Learning Objectives: • Identify clinical features and treatment issues as applicable to patients with complex and/or treatment resistant depression who are pregnant. • Evaluate evidenced-based data regarding current and novel treatment approaches to address clinical needs of patients with treatment resistant depression who are pregnant. • Apply evidence-based research findings to the clinical care of patients with complex and/or treatment resistant depression who are pregnant. • Tailor individualized treatment plans for patients with treatment resistant depression and multiple comorbid disease states and drug related problems to improve treatment outcomes. Course Requirements: To satisfactorily complete the From Theory to Practice Case and receive 5 hours of BCPP Recertification and ACPE credit, candidates must meet the following requirements: • Abide by a confidentiality and honesty statement requiring individual completion of the recertification education. • Successfully complete an online examination on or before the deadline of March 26, 2020. • Meet the minimum passing score on the final examination as determined by a panel of experts. • Partial credit is not available. You will proceed through the following steps to satisfactorily complete this course: • Review the full content of the activity and reflect upon its teachings. • Complete the post-test at the end of the activity no later than the closing activity date. (login first) • Complete the evaluation at the end of the activity. (login first) • Wait for the official review of exam questions within 4 weeks following the closing date. • Receive a passing grade (as determined by a panel of experts within 4 weeks following the closing date). • Provide the necessary details in your profile to ensure correct reporting by CPNP to CPE Monitor.